Amy Bornemeier and Christine Rohe work with volunteers from the Kearney Chamber of Commerce to register attendees and hand out resource bags. 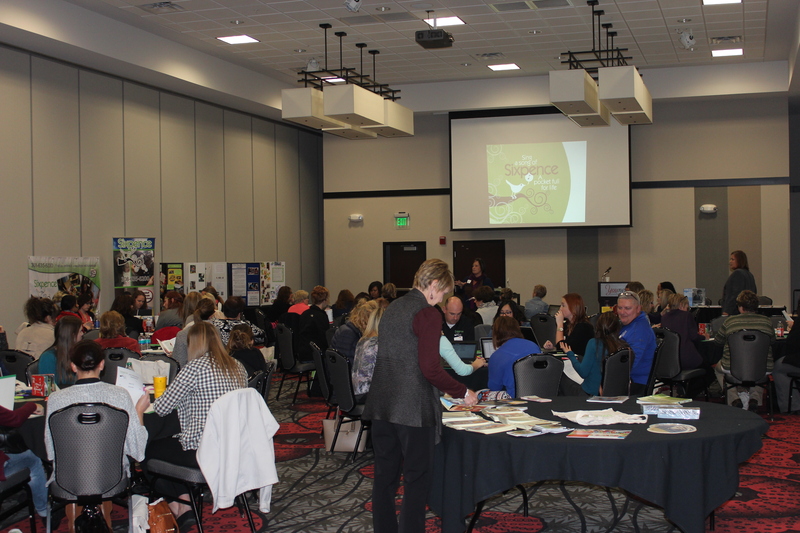 On October 30, nearly 375 home visitation professionals gathered in Kearney for a full day of education. On this day, they would recharge for resilience, and learn to better care for the families in their charge . . . and for themselves. 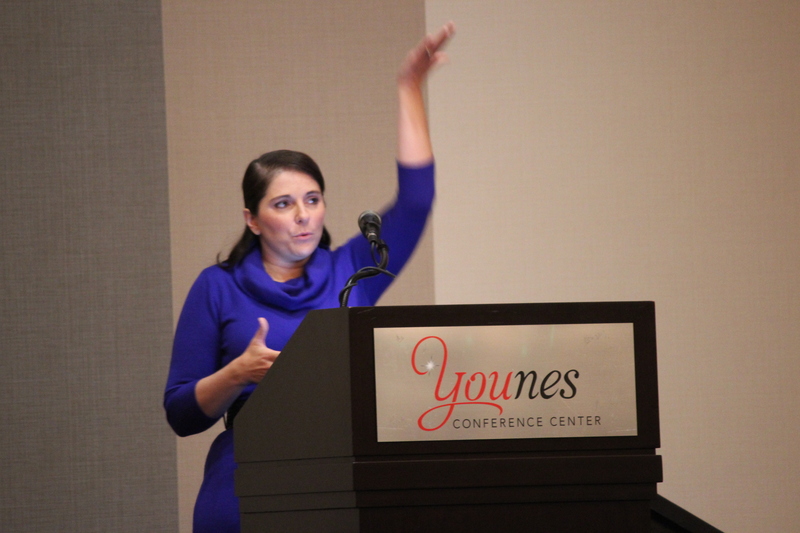 With nearly 375 attendees, it was a full house at Kearney’s Younes Event Center. 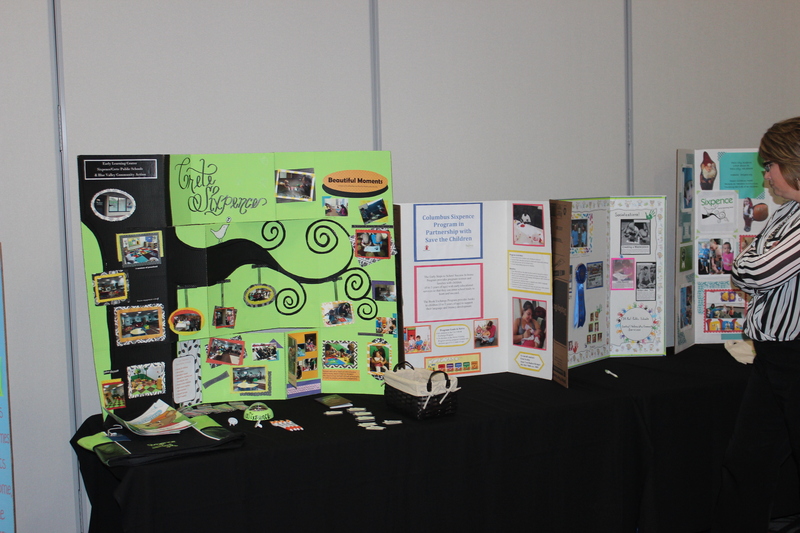 The day before the event, attendees from the state’s 25 Sixpence Early Learning programs gathered to share experiences and best practices. After that, any overnight attendees were welcome at a networking reception. Each Sixpence site presents some of their success stories. Between educational sessions, attendees learned about relaxation techniques, including yoga and guided meditation. Led by Lincoln-based yoga instructor Katherine Brockman, home visitors were able to take time out to reflect on their own feelings and learn to recharge when their work takes too much out of them. Katherine Brockman leads a guided meditation. Throughout the day, attendees heard from national and regional experts on family dynamics, child abuse prevention, child development, domestic violence, motivational interviewing, reflective supervision and more. 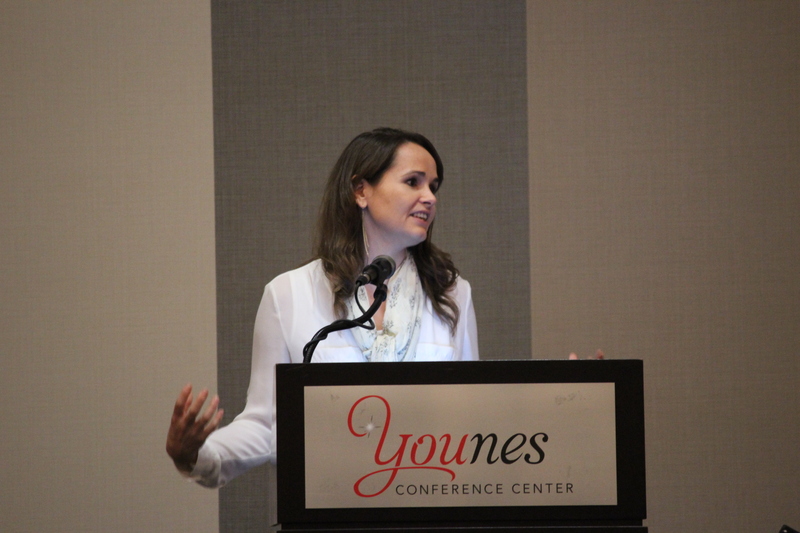 Dr. Gina Direnzo-Coffey discusses Adverse Childhood Experiences and the effects of Toxic Stress on the developing brain. 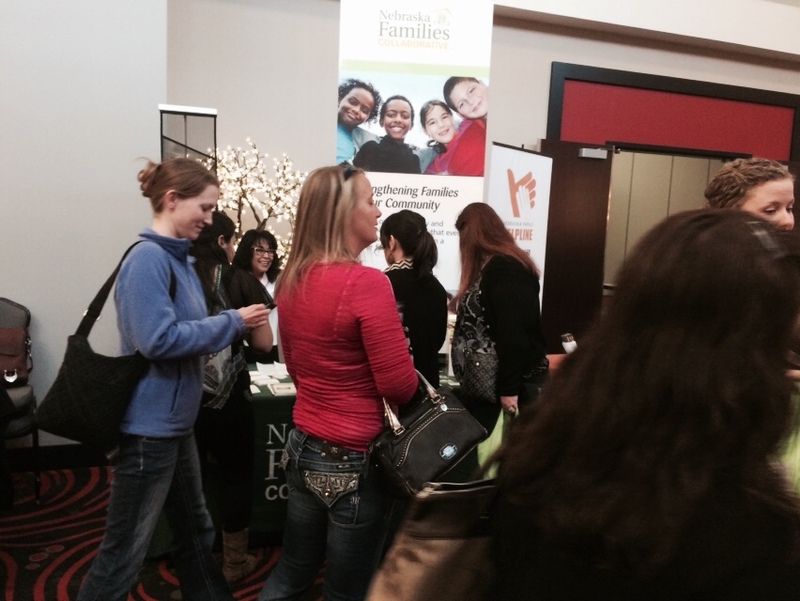 Between sessions, attendees had the opportunity to mingle with resource providers who could make their jobs easier. 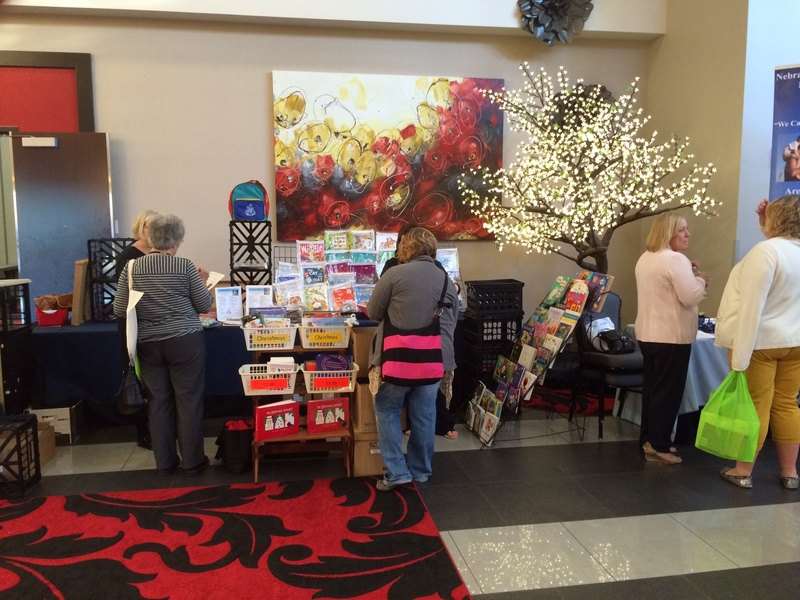 Each attendee walked away with a bag full of books and resources to enhance what they learned during the day and help them become more effective home visitors. 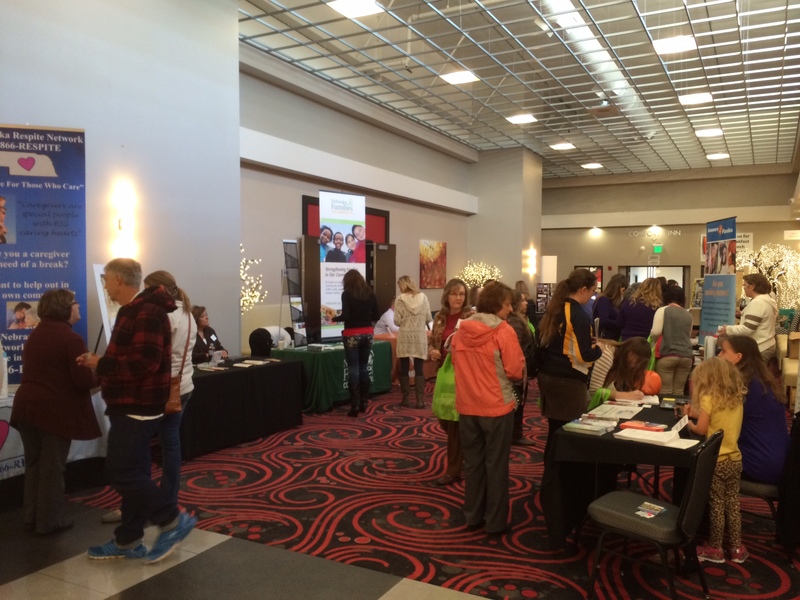 Attendees enjoy the resource walk, with more than 20 informational booths. The day ended with a powerful session on “compassion fatigue,” an emotional state that’s common among individuals in intensive direct service professions. 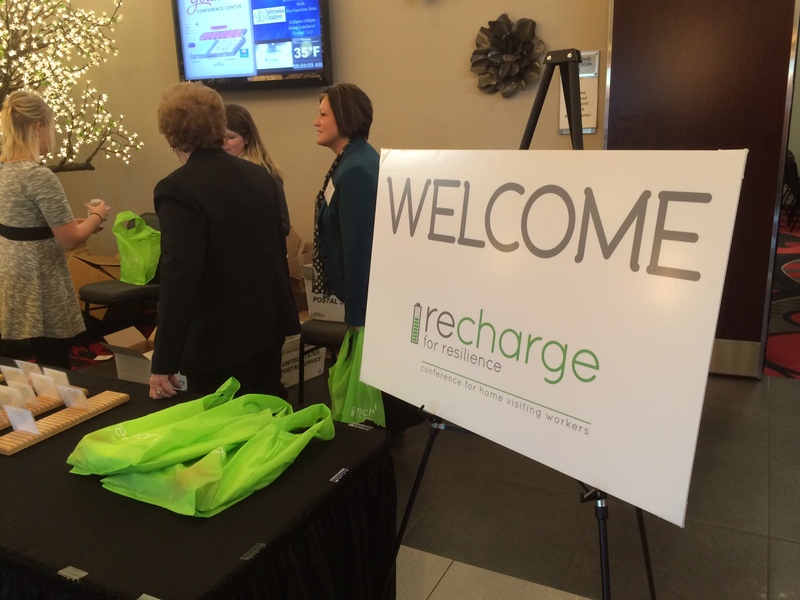 The Recharge for Resilience event was funded by the Nebraska Department of Health and Human Services Maternal, Infant, Early Childhood Home Visiting (MIECHV) division, with help from the Nebraska Department of Education and Nebraska Children and Families Foundation.